Welcome! 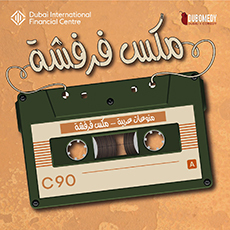 We are Dubai, UAE's local comedy pioneers now celebrating 10 years of funny-making business in the desert! 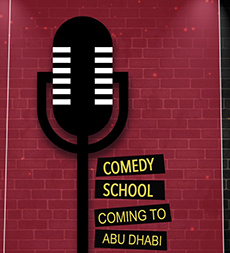 We founded the premiere Comedy and Urban Arts School in the Middle East, produce stellar festivals and events throughout the year and use comedy as a tool to bring people of diverse cultural, monetary and religious backgrounds together for one big laugh. 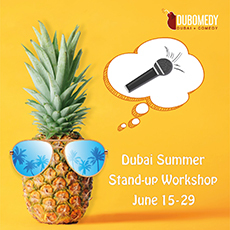 Under our umbrella is Dubai International Comedy Carnival, Funny Girls, Dubomedy International Performing Arts Festival, Monday Night Funnies, Improv Revolution, Dubomedy Arts School, Sketch@ TV, Dubai Tap Dance & Body Beats and the beloved Clowns Who Care Volunteer Project. Join us! Ali had a wonderful time interviewing Greg Gunberg of Heroes and Star Wars! 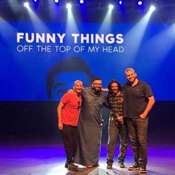 Kicked off the season with a sold out show ft. Nemr, Khalid, Ali & Ahmed! 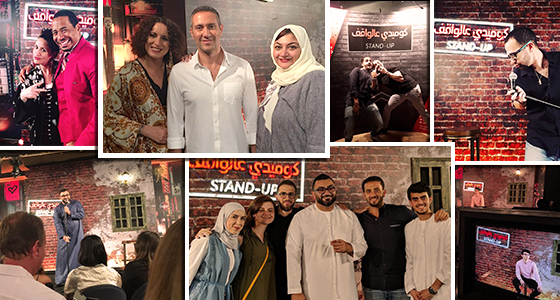 Tune in to Comedy Central Arabia every Sunday night to catch seasons 2 and 3 of “Comedy Central Presents… Stand-up” featuring well known and up and coming comedians from around the MENA Region including our founders and numerous Dubomedy alumni. 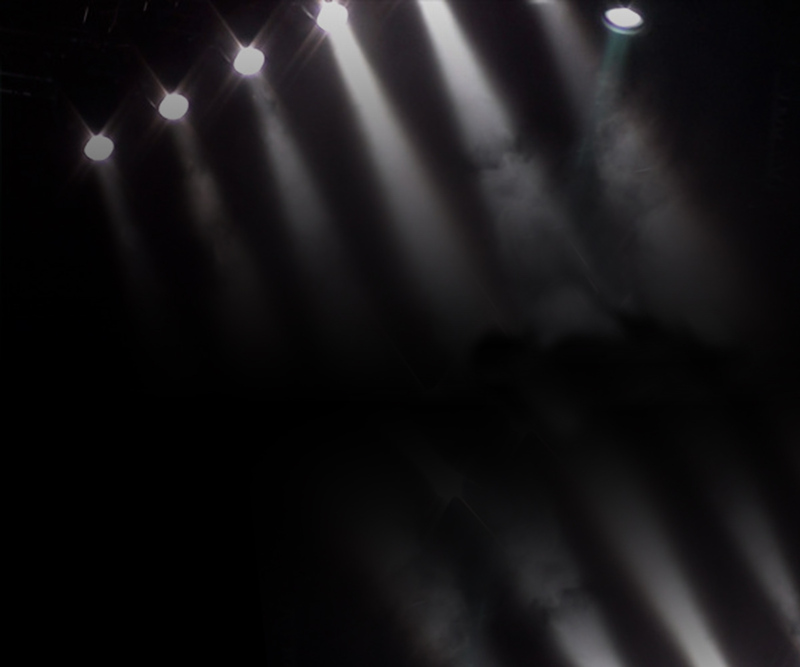 We couldn’t be more thrilled! Our Clowns Who Care headed to the Gaza Refugee Camp in Jordan to put on a special winter comedy show and workshop for the kids! 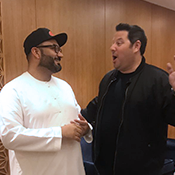 Ali Al Sayed was awarded Comedian of the Year by Esquire Middle East! 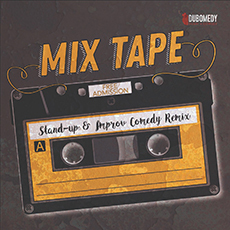 Alf mabrouk and here’s to many more laughs to come! The film our founders had the honor of working on, As One: The Autism Project, was released in UAE Cinemas to mark World Autism Day! 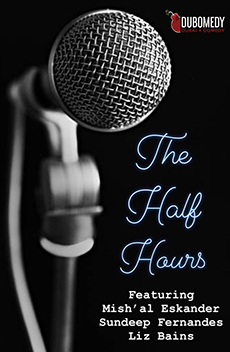 THE HALF HOURS: LIVE RECORDING!